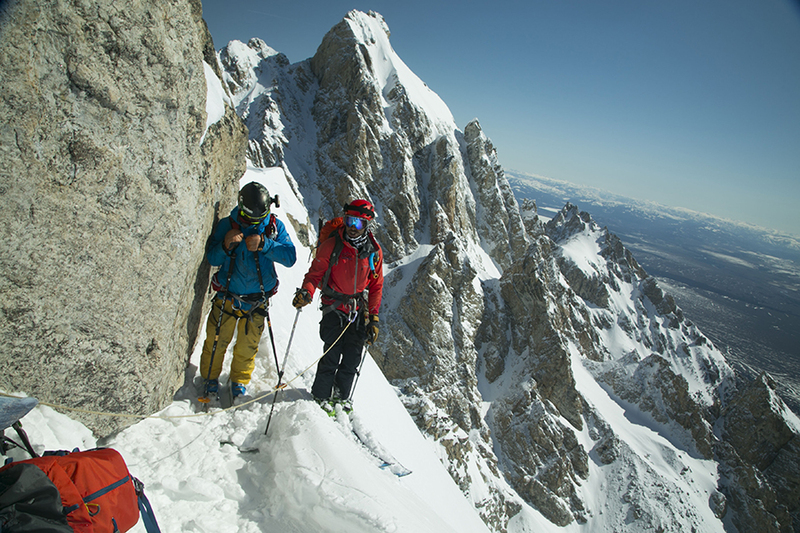 Zahan guides Griffin Post up the Middle Teton during the filming of Way of Life. Photo courtesy of Zahan Billimoria. Most people who spend a significant amount of time in the mountains receive some kind of encouragement from their parents or a mentor at an early age. Zahan's parents were not skiers, so I was curious about what first sparked Zahan’s interest in skiing. He recalled his childhood bedroom, which he had plastered with cutouts from Powder Magazine. The imagery and stories that most inspired him were about the Grand Teton in Jackson Hole. This peak and its many faces and routes eventually became the place he would cut his teeth as a guide many years later. Switzerland and the Alps general are a unique range. Access to extremely steep, dangerous faces is relatively easy–usually only a short tram ride away. This is unlike many mountain ranges stateside, where dangerous lines require much longer approaches and more careful planning. In high school, Zahan traveled to many European peaks with a buddy with similar ski mountaineering ambitions on a tiny, shoestring budget. In those early days, Zahan recalls making many mistakes, and how lucky he was to not seriously injure or kill himself. It is not an unusual narrative for someone who begins to travel in the backcountry without a proper mentor or avalanche education. Luck is a largest component in arriving back safely at the end of these days. At the age of 18, Zahan graduated high school. It was at this point that his parents realized that his passion for the mountains was not a fleeting fascination, and rather a lifelong love. 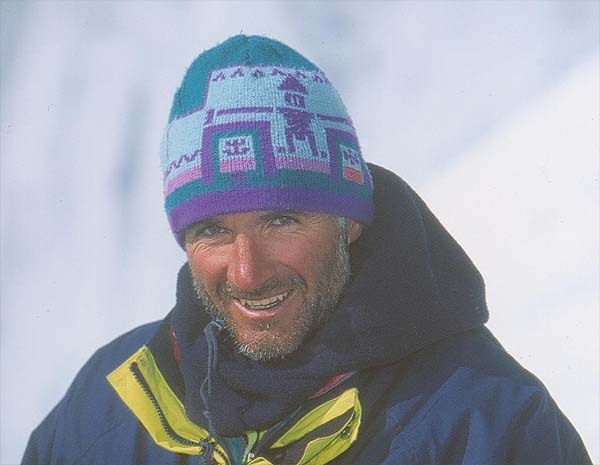 As a present, they bought him one day of guiding in Chamonix, France with famous mountain guide Christophe Profit–a hero of Zahan’s. That day sticks out in his memory, as he could hardly believe who would be teaching him the basics of mountaineering. Although the specifics have been lost to time, the elegance in which Christophe moved through the mountains made a lasting impression on the young Zahan. It was this elegance and gracefulness that Z wanted to emulate, and this experience proved to him that he wanted to become a guide. That spring of his graduation, Zahan wrote to every heli ski operation in Alaska to try and become a cook. Unfortunately, no one wanted to take the risk on a kid halfway around the world, so instead he went to Boston for college. While studying economics and spanish at Gordon College, he used Boston as a base to explore the White Mountains. Classic spots like Tuckerman’s Ravine and Pinkham Notch became familiar training grounds for the new kid from Switzerland. When I asked Zahan why he did not pursue guiding directly after high school, he spoke about his lack of confidence in earning a full time wage. It is difficult to earn a living as a guide without traveling year round, which made someone like Zahan, who wanted to start a family, hesitate to commit. The dream was still in his crosshairs, though, and after graduating from college he became a high school teacher. He would spend his summers taking guiding courses and furthering his skills. While climbing, Zahan took a hard fall and broke his back. At the emergency room the doctors told him that it was highly unlikely that he would return to full function. This fully derailed his aspiration of becoming a guide and the next few years were spent regaining his strength. Zahan’s goals changed from becoming a mountain guide to just getting on the rock again. After a couple of years, he recovered and began to feel more confident. It was at this point a realization occurred that time was ticking by. It had been ten years since he moved to Boston, and if he ever wanted to become a guide, now was the time to commit. To the surprise of his coworkers, family, and friends, he quit his job and packed up his four-cylinder truck with his wife. On the top were two rocket boxes. One was filled with canned goods, the other climbing gear. For the next six months, Zahan and his wife traveled the country climbing everywhere they could while living out of their truck. The rubber tramp adventure ended in Driggs, Idaho–just on the other site of the Tetons from Jackson Hole. Now the mountains Zahan had once taped up in his room were the peaks visible out of his front door. For the next year, he devoted himself completely to skiing and traveling in the Tetons. In Rich Rinaldi he found a mentor, and began working for his guiding company, Yostmark Backcountry Tours. During his first year of work, he can barely recall getting paid, but the experiences led to one of the most satisfying years of his life. Fast-forward to the present day and Zahan is still in the Tetons, and now an accomplished guide at Exum Guides. He frequently works with TGR, took Griffin Post up and down the Middle Teton for Way Of Life, guided Jeremy Jones up the Grand Teton and down the Otter Body for Higher, and this past March guided Max Hammer up and down The Sickle on Mount Moran for Almost Ablaze. He also leads the rope skills section and avalanche safety portion of our International Pro Riders' Workshop for TGR athletes and cinematographers. 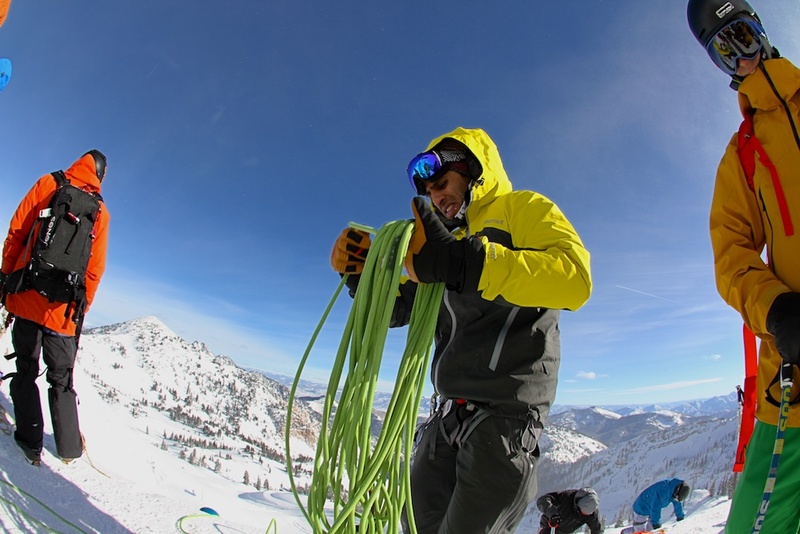 For an awesome read, read The Qi Of Skiing With Ropes with Zahan here. What motivates Zahan is the idea that his profession enables people to achieve the impossible. They have set mental limits for themselves, and through his help, they are able to break through these limits and accomplish goals they never imagined possible. I asked to name an instance when this occurred. He mentioned guiding Jeremy Jones and Bryan Iguchi down the Otter Body on the Grand Teton. This trip was the perfect culmination of timing and people that made it a special experience for all involved. At his core, Zahan is a family man with a wife and kids. This naturally influences his future plans and goals for his career. Over his life he speaks about seeking a transition away from skiing heavy, dangerous lines to finding beautiful ones. He spoke about finding these lines are his main motivation now. These mean potential human-powered missions in places like Peru and Antarctica. In the waning moments of out interview I asked Zahan if he had any final thoughts or ideas he wanted to share. His response was no single line is worth your life. Risk in the mountains, however, is something that is always prevalent, and gives this activity purpose. He acknowledged that risk is a large reason why traveling in the mountains and backcountry is so enjoyable. The key is having the experience and patience to ensure that you don’t risk too much on one objective.